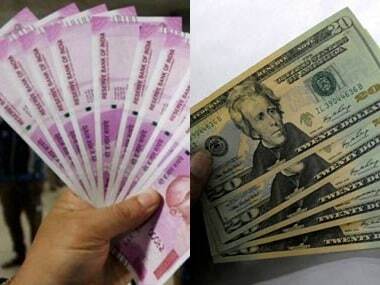 Mumbai: The rupee crashed by a mammoth 110 paise on Monday, its biggest single-day fall in five years, to end at a lifetime low of 69.93 as the US dollar gained rapid strength amid fears that economic crisis in Turkey could spread to other global economies. This is the biggest single day fall for the rupee in the past five years. Previously, the rupee had dropped 2.4 percent or 148 paise in a single day in August 2013. The rupee also ended lower against the British pound, euro, and Japanse yen. The rupee was mainly impacted by fall in Turkish lira, said a treasurer of a state-owned bank. The Turkish lira dived almost 8 percent on Monday to a low of 7.24 against the US dollar, fuelling fears that it may impact financial institutions in Europe. Later, it recovered some ground after the finance ministry assured steps to rein in the crisis. Global currencies except for safe-haven Japanese yen and Swiss franc faced a rout against the dollar. The pound sterling was trading near 2018 lows, the euro declined to a 13-month low, the Russian ruble lost 2 percent, while South African Rand plunged 7 percent in a global meltdown. RBI will not be comfortable at these levels. It was seen defending rupee at all levels, said a senior treasury official of a public sector bank, while predicting that the rupee may fall to 70 levels against the dollar soon. 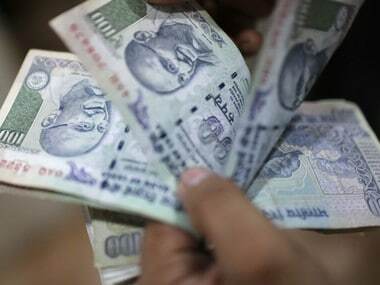 The rupee had opened strong by 41 paise at 68.42 against the US dollar in early trade on Monday, helped by revived sentiments following optimistic macroeconomic outlook. It remained under intense pressure later in the day and eventually took a deep slide to end at a lifetime low of 69.93, revealing a steep loss of 110 paise, or 1.60 percent. The 10-year benchmark bond yield settled unchanged at 7.75 percent. The benchmark Brent for September settlement is trading weak at $72.68 a barrel in the early Asian session. India's foreign exchange reserves fell to over seven-month low of $402.7 billion in the week ended 3 August. Total forex reserves dipped $1.49 billion from $ 404.19 billion in the week ended July 27, 2018, RBI data showed. In the forward market on Monday, the premium for dollar edged down owing to consistent receiving from exporters.